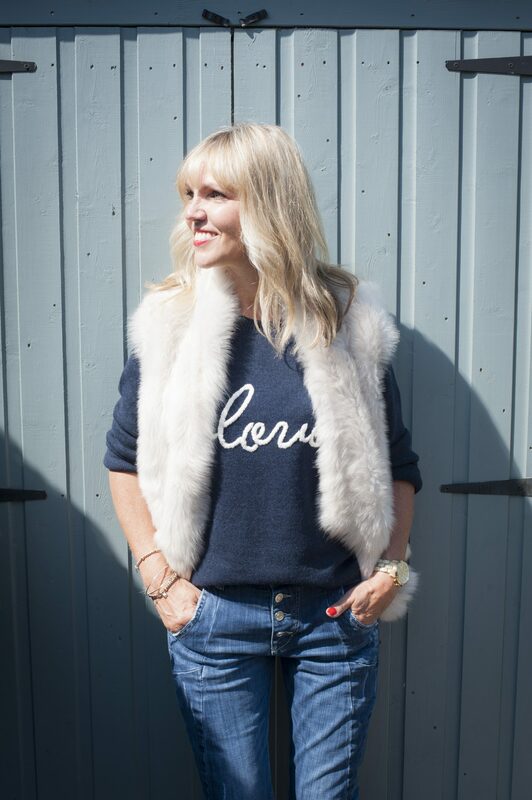 From alpaca hand knits and down padding to tonal textures of Toscana, we’ve teamed up with personal stylist Lynne Meek of Styling Matters to show us how to wear this seasons shearling gilet. 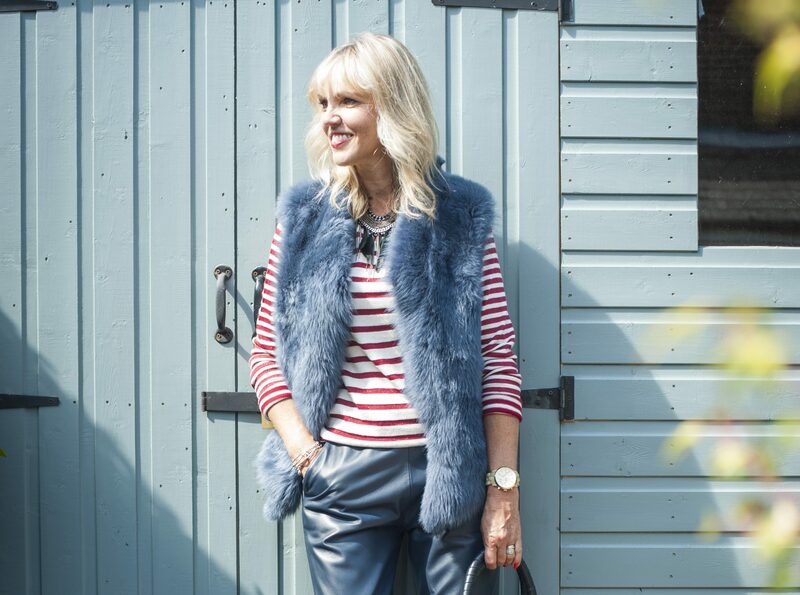 “I’m a huge fan of layering in the Autumn. 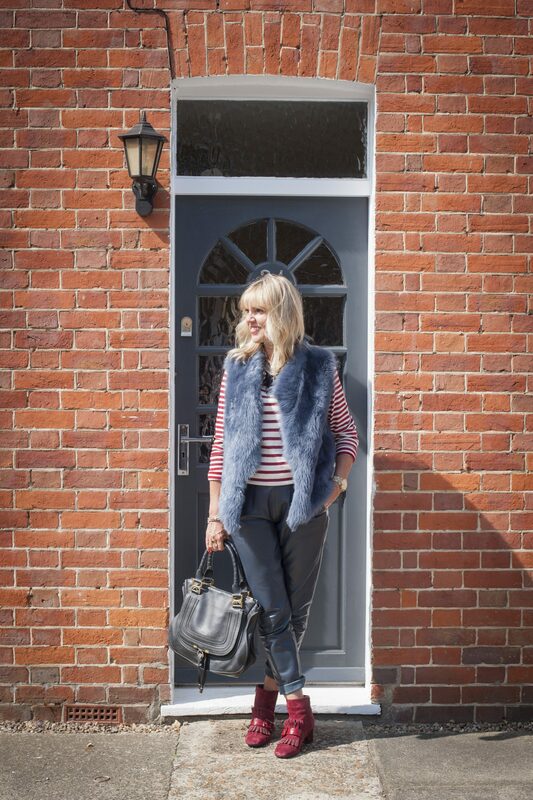 I’ve teamed my denim Knit Back Gilet with soft leather joggers, a fine knit jumper, suede boots, statement necklace and my favourite designer handbag. I’m often meeting clients for London shopping trips so i’ll be warm enough on the train platform, but not overheating in a full coat in Selfridges! 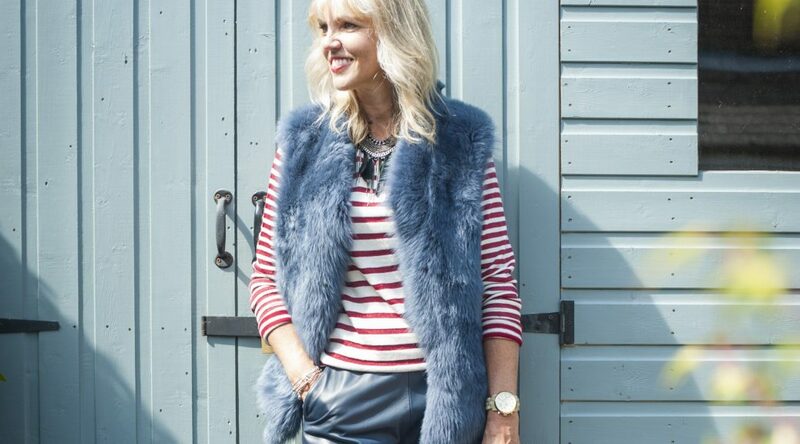 The soft denim blue of the gilet looks great against the navy blue of the leather trousers, and the red adds pop. I generally stick to just two or three colours in an outfit to keep it simple but stylish. Discover your favourite shearling gilet here.